The previous weekend I had one dream come true: Kite boarding in a spectacular lake in the middle of the desert. 7 days later I had another dream become a reality, I purchased an off road motorcycle and explored the desert on my own bike in Africa! Here is the bike when I went to check it out for the 1st time. Its a 2002 KTM 640E Adventure. Originally it was a 640 Enduro but the previous owner converted it to a 640 Adventure by putting on the front faring, 28Liter tank and the seat that fits the tank. Very well done conversion! So this past weekend we took it out for a proper test ride with the idea that if everything went well I would buy it! 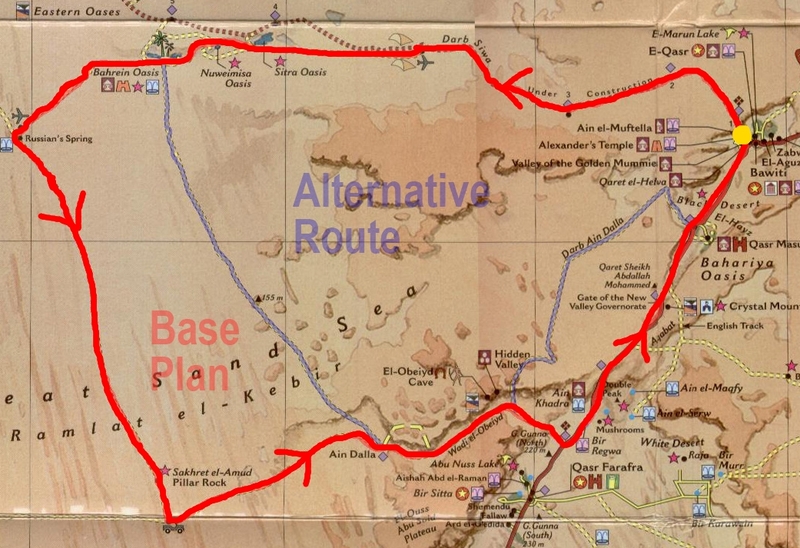 Plan was to ride in an area south of the Wadi Rayan lakes (Were I did the kiteboarding the weekend before). Sobhi, the previous owner is a Coptic Christian and is friends with the Monks who live in this area of the desert. So the plan was to ride out to their Monastery and visit a cave church they have made up in the mountains. There are 180 monks in total, 70 of them live in the monastery and 110 of them live in the desert! Where... I have no idea. I only saw a few caves! All the monks were super friendly and very happy to see us, gave us tea and told me the story of their monastery. At the end they told me that I was welcome to visit them any time and I could even sleep over if I wanted to.... With the way things are in Egypt maybe ill take them up on it... To regain my sanity!! Here is what the outside of the . These pictures are taken after a long 5+ minute climb up some block stairs... You will get a better idea in the video! Here is the inside of the church. This "chest" has has a scull (that still has hair on it), a foot and a bunch of other body parts and bones that all belong to religious figures. They even said they had something from John the Baptist! Time to head back to camp. Trailer ride to her new home! Her new resting place.... A friends living room since I live on a 2nd and 3rd floor! You have received this message because AEGS-1 has added you to their SPOT contact list. But anyways here are a few pics and a video of the trip! How the Jeep looks with a jerry can of gas, kite boarding and motorcycle equipment. Look what we found.... There are actually 2 sets of abandoned military bunkers out here... Will be left to explore on another trip! Stay tuned for the rest of the day were we went kite boarding in a lake in the middle of the desert! 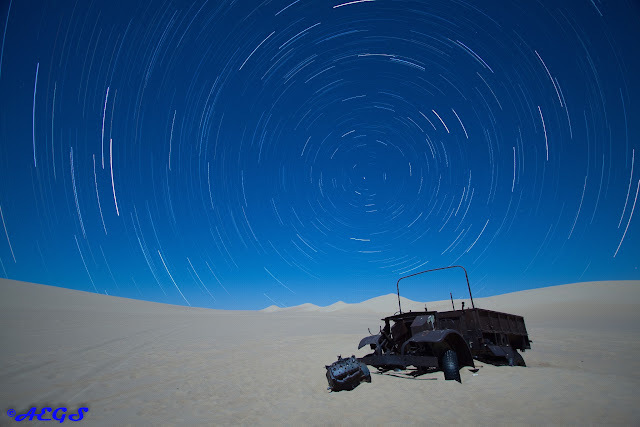 Star Trail Photography of a British WW2 Truck. The most expensive picture I have taken. Star trail photography deals with taking a long exposure picture of the stars or combining many long exposure pictures into one picture by stacking them. Because the earth is spinning the stars will actually move across the frame of the picture. The one star you see stationary is called The North Star, Polaris or Ursae Minoris. It is a star 434 light years away that is closest in line with the axis of the earth, thus the earth spins about it. With film cameras the traditional way of taking a star trail photograph is taking a single picture that is 10min to several hours long. Relatively simple. With digital cameras the problem is that in shots that are over a few minutes long the sensor in the camera generates hot pixels that show up as red, green or blue dots; basically noise, which can be removed in post processing. The other option, and what I did was to take lots of "long" exposure photographs that are then stacked one on top of the other to generate what you see. Why was it the most expensive picture I have taken? Because preparing for the picture killed my Canon 50D. See in order to take 200+ pictures or 1.5hr+ series of pictures the camera needs an external power supply. So I made one out of a DC-DC converter that plugs into the Jeeps (My Jeeps, not the one in the picture) cigarette lighter power port. Problem is that apparently a static electricity discharges passed 3,000+ volts of electricity into my camera. :( I ended up taking the picture with only 133 exposures using a friends 50D. Thx Igor! This example is a stack of 133, 30 second photographs taken from 11:33pm to 12:44am on the night of Wed March 7th. The individual pictures are stacked or blended in post processing. But rest assured no "Photoshop magic" was involved in generating the effect of the stars spinning in the sky. Regarding the truck. Its an old British World War II Ford truck that was abandoned in the middle of the desert probably after some type of mechanical failure. Where in the middle of the desert? Click the link below and zoom in to see the truck and zoom out to see how in the middle of no where it is. Please click below to see the picture larger. Why was I in the middle of the desert? We were on 4 day desert expedition. There is some info in the preview post before this, but ill write another blog post with more on the trip in the next few days! 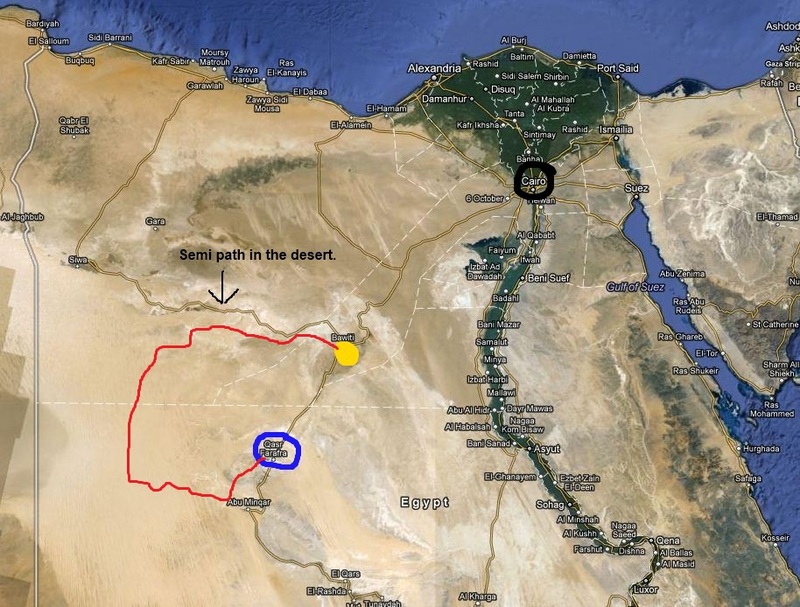 Next up... 5 day desert expedition of the Great Sand Sea! This will be the longest and deepest desert trip for most of us so that means the most food, water and gasoline we need to bring. Each Jeep will be bringing an additional 120L/30Gal of gasoline (ontop of a full 85L gas tank the Jeep already has, total of 205L/54 Gal per Jeep), 2 spare wheels/tires along with at least 12liters of bottled water and 20L/5Gal of filtered water. Here is what the Jeep looks like with the major items packed. This is a little toy I plan to test ride for the 1st time on the trip, a sand board! Wish us luck and till next time! Hello, this trip out into the desert had two goals. 1. To get some desert experience under a friends belt in prep for a 5 day trip we are doing later this week. 2. Drive out to 30:30. Latitude 30 degrees, Longitude 30 degrees. Here is a short video of us driving though the desert before the storm even got close... You can see the sand blowing past us.